Updated Monday January 14, 2019 by NYB. How will your sponsorship / donation benefit Nipmuc Youth Baseball? Each donation is used to offset the costs of the program, such as equipment as well as investing in the playing fields across both towns. Sponsorship fees also help to defray the cost of participation for all players, allowing more kids to play baseball. How will a sponsorship / donation benefit your business? Your business name will be prominently displayed on the back of your team’s jerseys or hats, depending on the league, or on a banner hanging at the fields. 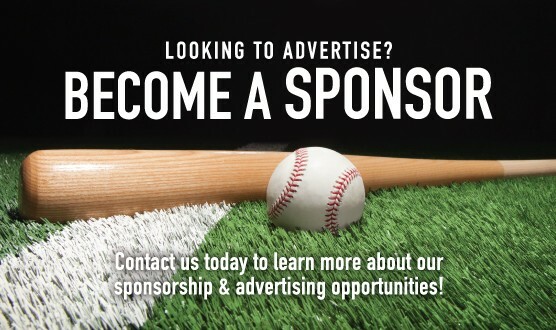 We will also promote your business on the Nipmuc Youth Baseball website and recognize your contribution through league communications for close to 500 player families. If you choose to advertise with a banner, aside from the increased number of teams playing during the spring season, your business will also enjoy added visibility for the local tournaments that we are expecting to host. This is a great opportunity to get your business name out there and support a recognized 501 (c) 3 youth sports organization. Our new website (www.nipmucyouthbaseball.com) will have pages dedicated to our sponsors. We are also planning to have other forms of social media for the organization, including Facebook and Instagram. The site, however, is our main source of communication with players and families. Registrations are completed on-line and the website is used to communicate schedules, re-schedules, photos of games and events, and news stories about the programs. This is the first place families go to find information on the program. Increased traffic to our site provides greater visibility for you to reach potential and existing customers. We are happy to help you market your business or organization with customized e-mail blasts to our player / family base. We invite you to join us in making the inaugural 2019 season for Nipmuc Youth Baseball a memorable one for all of the players and families.